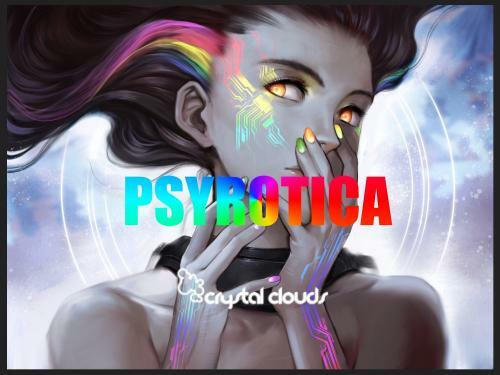 A rather cool selection of Full On Psy Trance mixed by lil ole me PSYROTICA. 1: yab yum & apex - voodoo logic. 2: Space Tribe - The First Trip. 3: Space Tribe & Mad Maxx - Mysteries of the World. 4: Slackjoint - No Gravity. 5: DigiCult - Leap Of Faith (DNA Remix). 6: Deliriant - Human Genome. 7: Dark Nebula - Parallel Universe. 8: Dark Nebula - Reach Of Time. 9: Dapanji - Super Moskitos. 10: D.N.I vs Brain Hunters & Nature Disaster - Ultraforce. 11: D - Addiction vs Psysex - Whale Ate My Cat. 12: Cybernetika - Molecular Probe. Anna Yarari Sumpero, Linny17, Dargoa, Beat Sequence, Jack Kandi and 2 others likes this. very good work from you !! very well done !! +featuring ! !